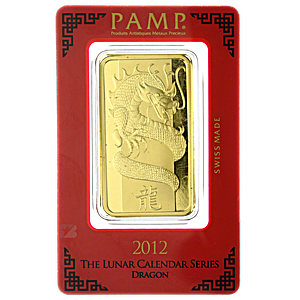 As one of the most popular signs in the Chinese lunar calendar, the dragon is beautifully depicted on these 2012 Lunar Calendar Series Dragon Gold bars from Pamp Suisse. 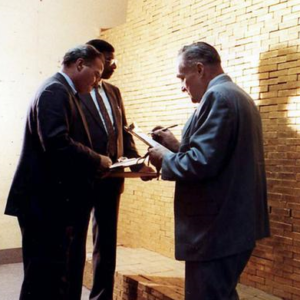 100g of pure .999 gold with an intricate dragon design. The dragon is known for its strength, beauty and noble nature.